Free Shipping Included! 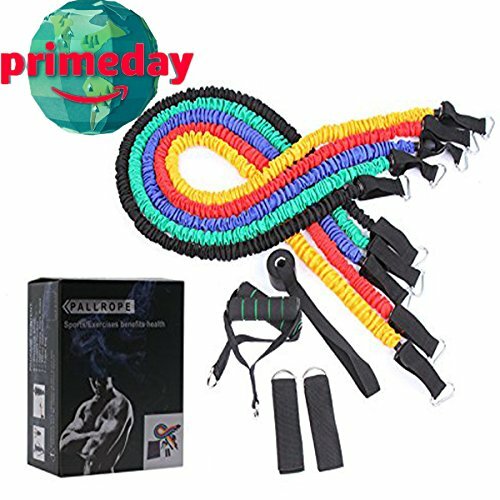 Safety Sleeve Resistance Exercise Tube Set with 5 Snap Proof Stackable Workout Bands,Foam Handles,Door Anchors, Ankle Strap Carry Bag,For Men&Women Resistance Training Home Gym Workouts Fitness Yoga by Pyramids at freespiritedfit.com. MPN: unknown. Hurry! Limited time offer. Offer valid only while supplies last. Note:The poundage is not the weight of the tension rope itself, but the force unit of three times the tension. If you have any questions about this product by Pyramids, contact us by completing and submitting the form below. If you are looking for a specif part number, please include it with your message.